For those of you that require corrective lenses or glasses, don’t loose your focus during an emergency situation. Do this by including extra eyeglasses and contact lenses with your preps. I have a pair of eyeglasses and a 2 week supply of contacts in my BOB (bug out bag) and in both my vehicle and home survival kits. Be sure to keep them in a protective case too. Visit your eyewear supplier and see what their best deals are for inexpensive sets. Or better yet, SAVE A TON OF MONEY by shopping online- we found bendable titanium frames for under $20 here. Don’t worry about how they look either. I wouldn’t be caught dead wearing mine in public- but if disaster strikes I may be left for dead without them. Here’s my own personal secret when it comes to SHTF eyewear. 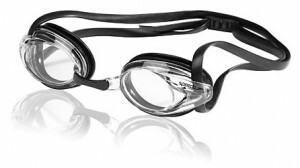 Stop by your local swimming supply store and pick up a couple pairs of “optical swim goggles”. They come in common prescription strengths. Even if your eyes are different, you can buy one of each strength and then swap out the lenses. Optical goggles are the best possible option for a disaster type scenario in my opinion; corrective lenses plus eye protection and durablility. Get them here for under $20. This entry was posted in Advice and tagged contacts, eye protection, glasses, lenses by bobweaver. Bookmark the permalink.